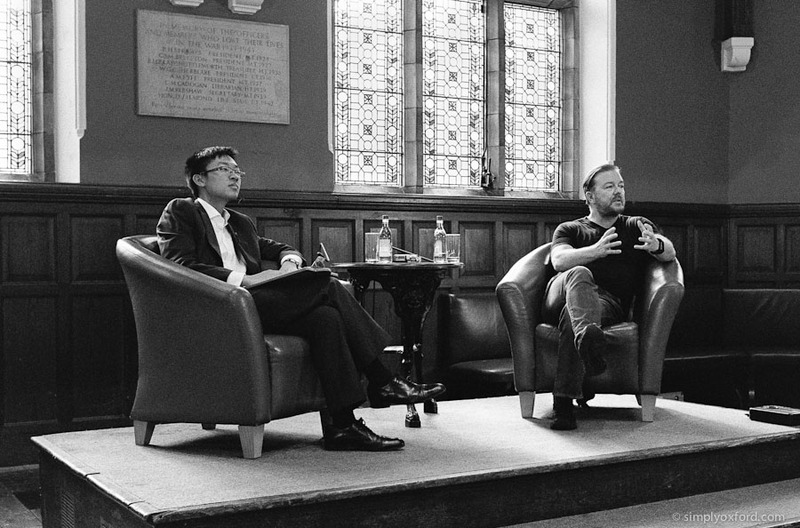 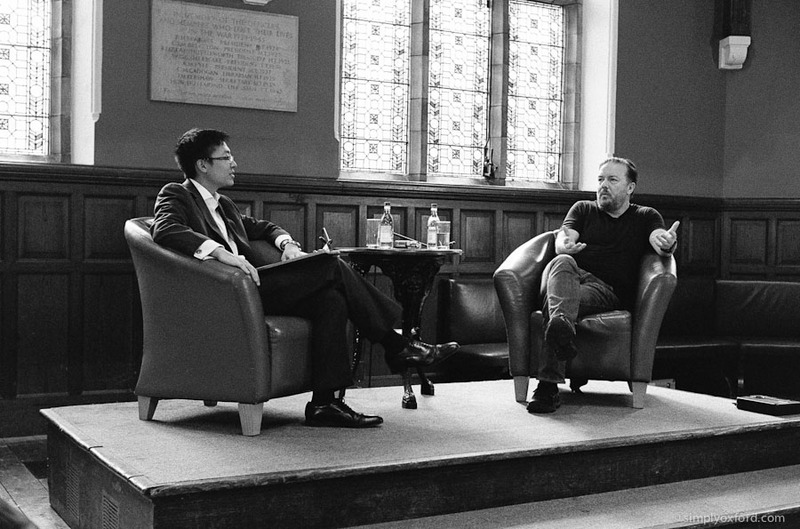 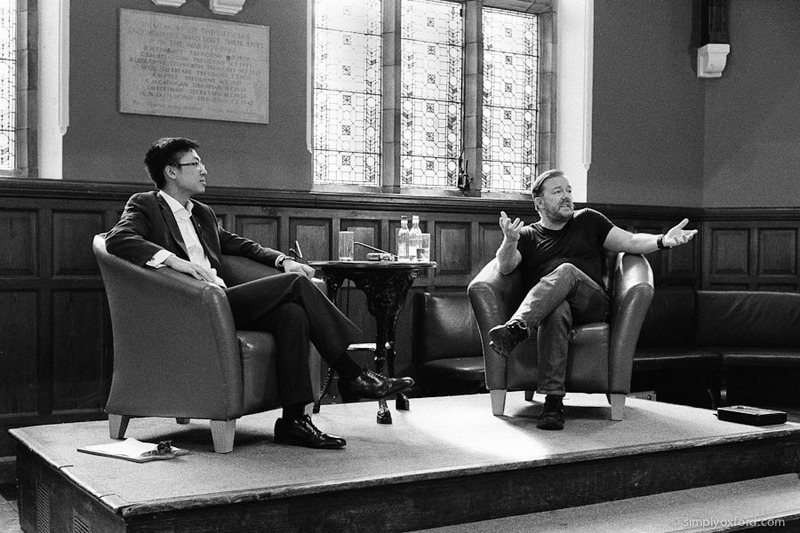 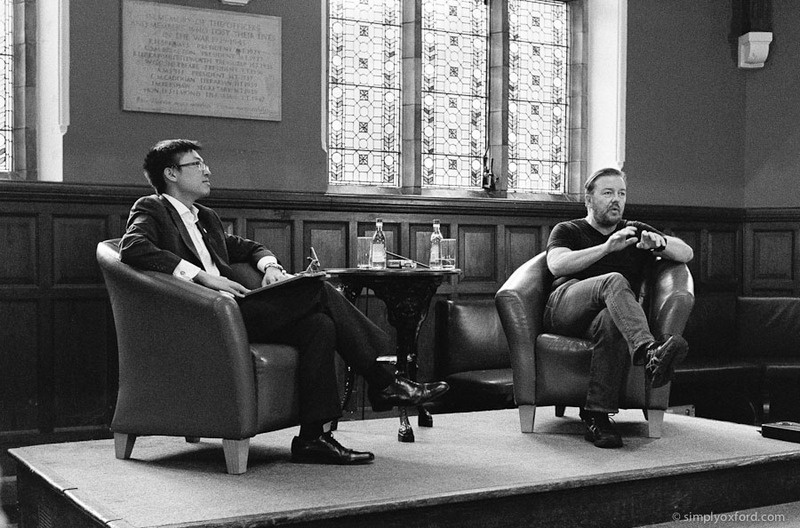 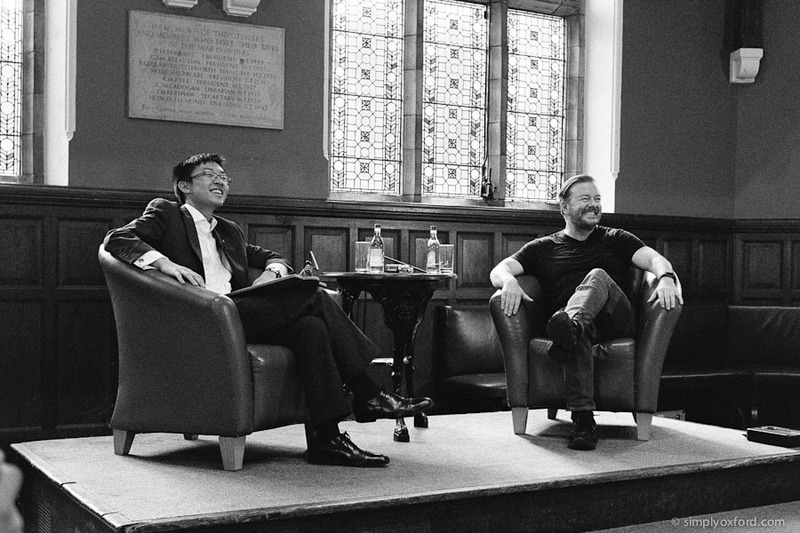 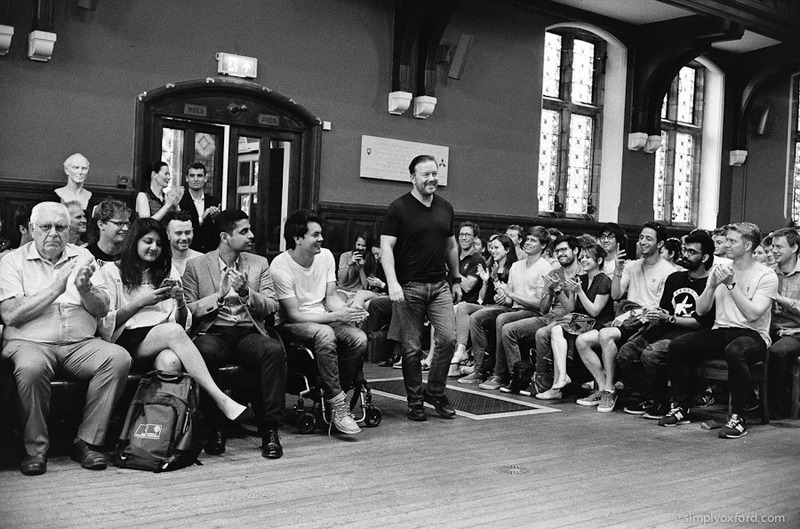 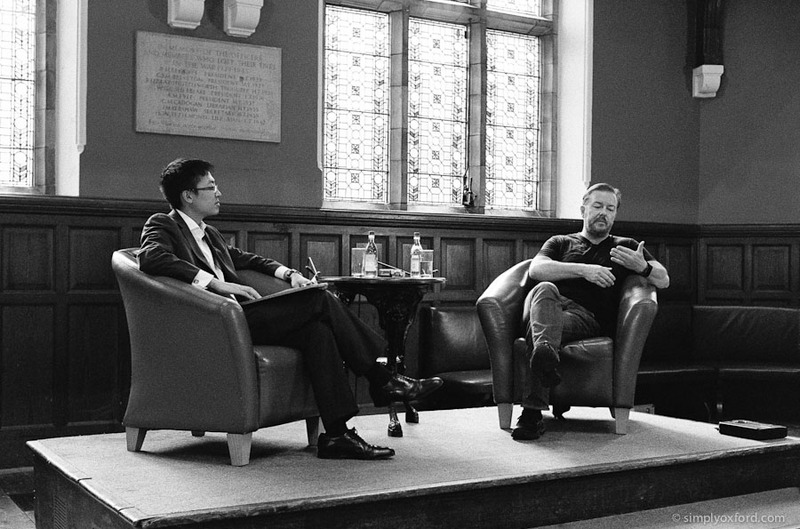 Ricky Gervais came to the Oxford Union for a Q&A session with Michael Li – the president at the time – and I went along to do some photography to document the event. 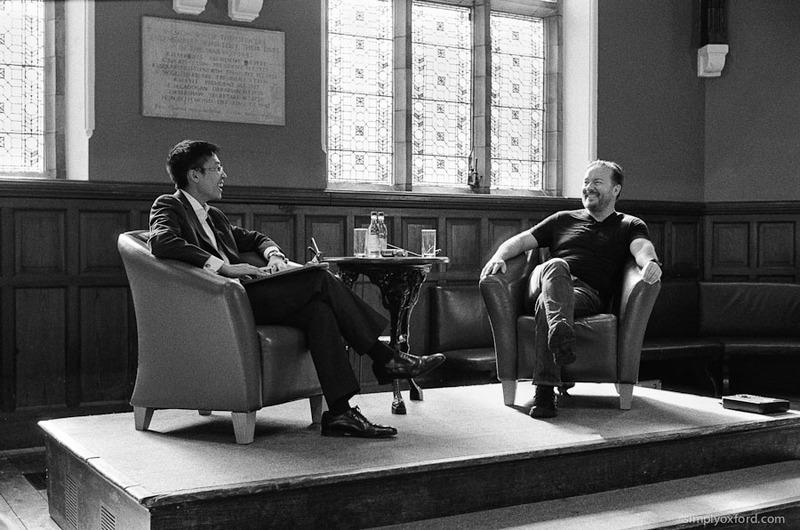 You can see the video here and I recommend it. 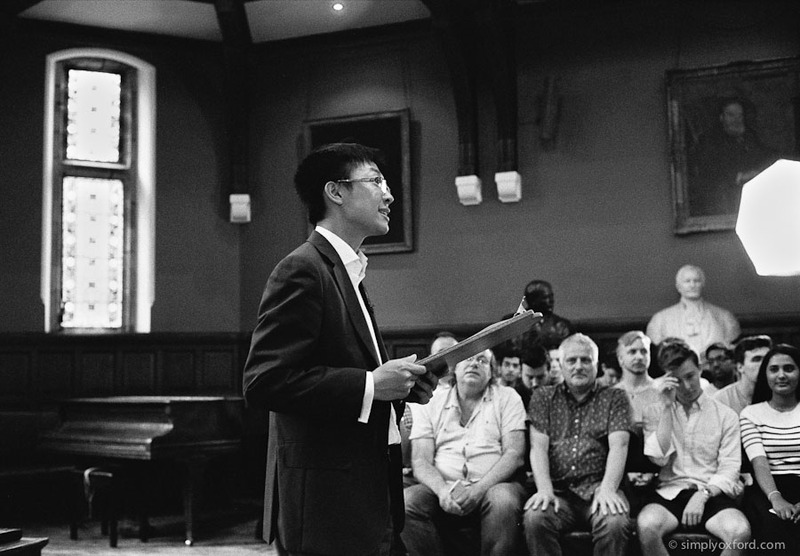 [Tech info:] Leica M6, 40/1.4 Voigtlander Nokton, Ilford HP5 @ ISO 1600, developed in Kodak HC-110 1+31, Pakon scans.